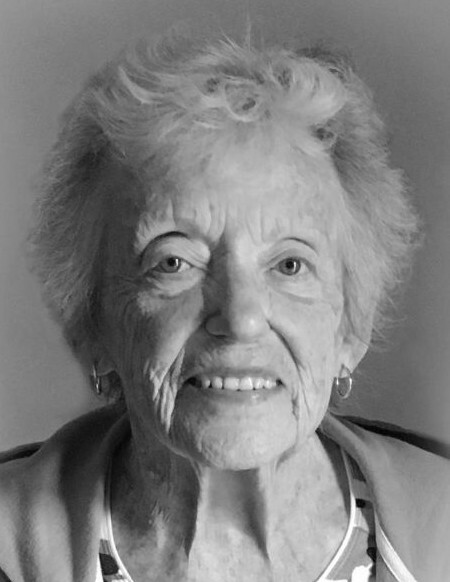 Patricia S. (Robson) Palko, 88, of Natrona Heights, passed away Saturday, September 1, 2018 at Logan Place, Lower Burrell. She was born April 15, 1930, in New Kensington to the late Russell L. and Hazel M. Burlbaugh Robson. Patricia retired in 1992 after 25 years of service as a teller for PNC Bank, Springdale. She was a member of Our Lady of the Most Blessed Sacrament R.C. Parish, Most Blessed Sacrament Church in Natrona Heights. Patricia was a volunteer for the Alle Kiski Health Foundation and Allegheny Valley Hospital Auxiliary, where she was a former Auxiliary chairman. She enjoyed traveling, walking, music and going to the Civic Light Opera Series. Patricia is survived by her children, Elaine Kushner (Sam McCune), of Cheswick, Mark Palko (Rebecca Daugherty), of Natrona Heights and Laura Ann (Richard) Palko Crawford, of Columbus, Ohio; son-in-law, Edward Sikora, of Moon Township; five grandchildren, Erin (John) Wilfong, Justin (Dorothy) Sikora, Elyse Sikora, Ashley (Quino) Martin and Scott Kushner (Linda); and by her 13 great grandchildren. In addition to her parents, she was preceded in death by her husband, Rudolph S. Palko and by her daughter, Joan Sikora. Friends will be received on Monday from 5-8 PM in the Cicholski-Zidek Funeral Home, Inc., 1522 Carlisle st., Natrona Heights 724-224-8688, where a blessing service will be held on Tuesday at 9:30 am. Mass of Christian Burial will follow at 10 am in Most Blessed Sacrament Church with her pastor the Rev. John B. Lendvai as celebrant. Burial will be in Mt. Airy Cemetery, Natrona Heights. In lieu of flowers, contributions in memory of Patricia may be made to the Leukemia and Lymphoma Society, 333 East Carson St. #441, Pittsburgh, Pa. 15219. To send an online condolence please visit www.cicholski-zidekfh.com.